Were he real, today would be Jack Horwood’s birthday. And ever since Job Hunt I’ve used his birthday, and Gareth’s on July 30th, as a kind of writing deadline. First, to get Job Hunt submitted. Then, the following year to finish first Ghosts and then House Hunt. I’ve had a similar project every year and this year was no exception. 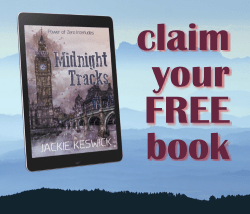 I wanted to finish Healing Glass by Gareth’s birthday – and did – and when my Camp Nano writing spree yielded another fantasy story, I determined to get it polished and published by Jack’s birthday. I owe those two guys many a metaphorical kick in the pants, and they worked their magic this year, too. 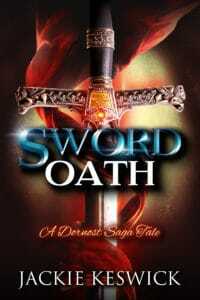 I hit the publish button on Sword Oath last night and it’s available almost everywhere this morning. And while I’m determined to come up with a freebie Jack & Gareth short in the near future, today I’d like to tell you a little about the fantasy world where I’ve hung out for many years before I even thought of being published. The Dornost Saga is the story of one courageous woman facing her destiny, but many of the other characters who help her along the way have their own stories, their own challenges. And in Karak, one of the realms in my world, the saying like the king and his general is a byword for love and devotion. The story of Serrai and Madan is told in marketplaces and at firesides. And, as is often the case, the story has reams of variations, some farfetched and outrageous, some surprisingly close to the truth. It’s just something that’s there and while I’ve written all kinds of stories about Karak, they were never about Serrai and Madan. The king and his general were always in the background, watching, until I decided that they really deserved to have their own story told. And it became something I hadn’t quite expected. I’d always known what Madan did. I’d always known what happened on that plain. But until I started writing Sword Oath, I hadn’t known why. So can love and a promise triumph over death? Well, in a perfect world, they ought to. I’ll die for you, or with you. When Madan swore a sword oath to Serrai he was eight years old. He kept his promise while they grew to manhood and took their respective positions as king and general, even when it seemed that he was the only one fated to love, deeply and devotedly. Serrai never declared his feelings, but his love for Madan was just as fierce. And quietly, in his heart, he swore his own sword oath: to die with Madan. Until a battlefield death leaves both oaths broken, and two men fighting for a future that doesn’t see them forever parted. 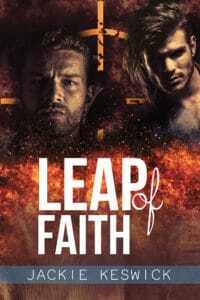 An m/m fantasy short story proving that love can win an argument with fate.